This luxurious hotel is located right next to the crucial Western Express Highway in Mumbai. It is also close the well-known area Dombivli. Some nearby places of importance are Old Waghdevi Temple, Lion's Den National Park and Shree Shani Temple. 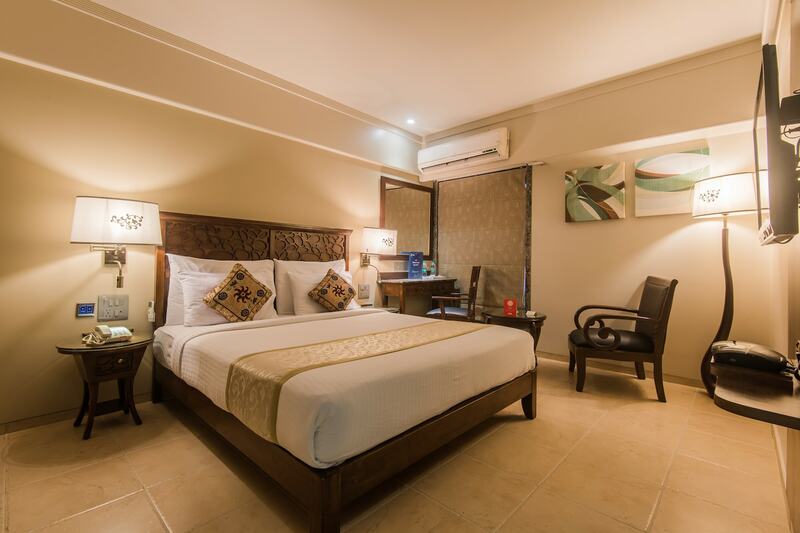 Hotel Maharaja offers well designed rooms with intricate woodwork and luxurious furniture. The hotel also has a beautiful in-house restaurant with classy wooden furniture and elegant crockery. This hotel offers AC, TV, mini fridge, free wi-fi, geyser and HDTV in every room. It also offers facilities like elevator service, in house restaurant, bar, power backup, card payment option and so much more. Some nearby eating joints are Niche Cafe, Hotel Hanuman Lunch Home, Lotus court and Ravindra Restaurant.